From business owners to individuals who desire reliable and full featured web hosting with quality support at affordable price, LayerOnline provides world-class SSD cloud web hosting solution with 24/7 award-winning customer service. Get the best web hosting services with LayerOnline! Find out why website owners everyday have chosen LayerOnline as their web hosting provider. Blazing Fast SSD Cloud Web Hosting – Premium SSD storage for fastest disk performance and web hosting on the market. Feel the speed of 100k+ IOPS cloud web hosting! Cloud-based DNS/Web/CDN/Email Hosting – Everything from DNS to email is on the cloud. Powerful Nginx/Apache Hybrid Webserver Engine – Combine the high scalability of Nginx with the power of Apache, our servers do not even break a sweat even under the heaviest loads. The kind of performance that typical shared hosting servers can only dream of. Private Hosting Environment – Each hosting account has a truly dedicated php engine isolated from others, improves security, stability and performance. Optimized Hosting for Page Ranking and SEO – Many SEO firms have recommended us to their clients for fast website load speed. Your website load speed directly affect your CPC cost, page ranking in Google, Bing and other search engines as well as your visitor’s experience. State-of-the-Art Security – Our proprietary real-time scanning engine constantly filter out malicious requests such as SQL injection and buffer overflow even before they reach your website. It can block any hacking script upload and execution. We always keep our scanning engine up-to-date and refined for today’s newest threats. Traffic Spike Protection – Our servers are designed from the ground up to handle the toughest traffic storm from Digg, Slashdot, Reddit, Stumbleupon, Twitter, Facebook and more, leaving great impression and professional image for your site visitors. Realtime DDOS Protection – Your websites are fully protected against one of the greatest threats on the Internet – Distributed Denial-of-Service attacks, including SYN flood and Teardrop. Optimized for Blog and Forum Hosting – Our LAMP hosting environment were optimally tuned to provide the fastest blog and forum hosting possible, for all scripts such as WordPress, Joomla, Drupal, phpBB, vBulletin and more. Raid-Protected Storage and Data Backups – We are serious about your website data integrity and safety, that’s why we use RAID1 to mirror your data to two drives, at the same time provide weekly backups which is also on RAID1. This is a costly setup therefore not many hosting providers are willing to provide. Typo-Proof Domain Registration – If you made a typo in your domain, just contact us within 24 hours and we can correct for you free of charge. Free Domain in up to 56 Domain Extensions – You may choose your free domain in .com, .org, .net, .info, .biz, .name, .nl, .us, .ca, .co.uk, .org.uk, .me.uk, .me, .mobi, .asia, .eu, .cc, .bz, .pro, .sx, .tv, .tel, .ws, .de, .es, .com.de, .com.au, .net.au, .co, .com.co, .net.co, .nom.co, .net.nz, .co.nz, .org.nz, .eu.com, .gb.com, .gr.com, .ae.org, .kr.com, .us.com, .qc.com, .cn, .com.cn, .net.cn, .org.cn, .ru, .com.ru, .net.ru, .org.ru, .in, .co.in, .net.in, .org.in, .gen.in, .firm.in, and .ind.in. Value Packed Domain Registration – Our domain registration is highly competitively priced while still provide premium features such as typo-proof, instant activation, free theft protection, free DNS management, 24-hour cancellation policy and much more. Green Hosting – We use energy efficient servers and our intelligent software make use of RAM-based operations and other techniques to improve performance and efficiency. We also contribute to green energy companies to offset the carbon footprint caused by our servers. 100% Uptime Guarantee – Our uptime SLA has been one of the highest in the industry thanks to our advanced hosting environment. Friendly and Professional Support – We offer 24/7 North America based technical support by toll-free phone, ticket, email and chat with our friendly and knowledgeable staff. 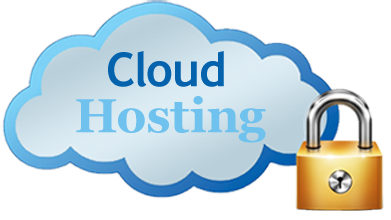 Cheap Cloud Hosting – LayerOnline offers industry leading unlimited cloud web hosting service at affordable price, we are one of the cheapest web hosting providers on the market. Cheap Domain Names – We offer cheapest domain registration for our hundreds of domain extensions. 100% Satisfaction Guarantee or Your Money Back – We provide unconditional 30 day money back guarantee for hosting and 24 hour money back for domain registration. From business owner to individual who desires reliable and full featured web hosting at affordable price, LayerOnline provides world-class web hosting solution with 24/7 award-winning customer service. Q: What is cloud-based DNS/Nameservers? A: LayerOnline provides globally load-balanced nameservers for its clients’ domains and web hostings so their domains will resolve as fast as possible for all their visitors no matter which continent they are in. It is also a failsafe feature that if one of the nameservers goes down, DNS traffic would automatically get re-routed to another nameserver in the nameserver cluster. What’s more, our cloud DNS/Nameservers are IPv6 ready! Q: What is cloud CDN Hosting? A: CDN stands for Content Delivery Network, in simplest terms, is a network of geographically distributed servers used to cache your website contents. Besides the fact that LayerOnline servers utilize Nginx to cache and to handle very large amount of traffic, we also partnered with CloudFlare, the main CDN provider, to offer one-click install of its CDN infrastructure for our users free of charge. In the event that your website goes down due to bad script or human error, both Nginx and CloudFlare will continue to serve your website content to the world until your website is back online, that’s double safety nets for your website. Q: What is cloud Email Hosting? A: Gmail is one of the best cloud-based email platforms around. Therefore LayerOnline provides one-click install of Google email for your domain. You would be able to use the same fast Gmail interface to access your domain emails and knowing that your emails are back by one of the best email platforms around. A: Nginx is a scalable, high performance HTTP web server and reverse proxy. It’s the solution to the scalability problem of Apache web server, also known as the C10K problem. Apache is a full featured and well supported web server. Apache create a new process for each connection, this impose a problem when there are hundreds of connections, the server quickly ran out of memory and cause instability or even crash. Nginx uses only one thread to handle all connections, switching between them using event calls to the operating system, effective eliminating the resource starvation problem with process-based web servers. Q: What is Nginx/Apache hybrid HTTP server? A: Although Nginx is highly scalable and high performance, it’s not as full featured and well supported as Apache web server, and it is not supported by CPanel, the hosting control panel. Therefore LayerOnline introduces Nginx/Apache hybrid HTTP engine: Nginx as the front end and Apache as the backend. The end result is the combined web server can handle thousands of concurrent requests while supporting all functionality and compatibility of Apache web server. Q: Does LayerOnline support green hosting? A: Yes. While our datacenters are located in green-powered states and we also make regular contributions to green energy organizations to offset our operation’s carbon footprint, we don’t stop there, we actually do our part to go further, a lot further. Reduce, Recycle, and Reuse, Virtually. Beside the fact that we only use energy-star compliant server components, we also use various technologies to enable maximum power savings, such as cpu speed scaling, link state power management, and disk idle timeout. Saving the planet doesn’t mean that you have to sacrifice in performance. We also utilize large disk cache, ramdisk and efficient process management to use power more effectively, actually resulting in a noticeable speed boost in comparison to non power saving counterparts. Need proof? The server load is the combination of total cpu load and disk activity load of the server. While the average server load for our competitors are 60-80, ours are less than 1! That’s correct, by hosting your website with us, your website uses 60 times less power and at the same time, runs faster too! And we are hosting some of the most demanding forum and blog sites out there. Now multiply that number with million of websites, can you see the savings? A: Distributed Denial-of-Service is a type of attack which hundreds of computers sending massive malicious network packets attempt to bring down a server. The most popular type of these invalid network packets is the SYN_RECV packet. LayerOnline’s state-of-the-art firewall technology instantly block all types of DDOS attacks in fraction of a second, while allowing legitimate traffic to pass thru. This technology is provided by LayerOnline free of charge. Q: What is Domain Privacy? A: When you register a domain name, your personal information such as your real name, phone number and address are publicly available via domain whois record for everyone on the Internet to see. Websites such as domaintools.com allows anyone to check the whois record of any domain name. Revealing your personal information to the world can be very dangerous. Also spammers can get your email address from your whois record and start spamming you. Domain privacy is a security feature which hide your personal information in the whois record. LayerOnline provides free domain privacy for many top level domains such as .com, .org, .info, and .net. Q: What is RAID-Protected Storage? Q: What software are included and how do I get them? A: The free software bundle includes Fantastico Deluxe, a collection of all the popular software from blog to forum scripts which can be easily installed. Q: How do I upload files to my account? A: In your FTP client, specify the following settings: Hostname: serveraddress.com (replace this with hostname of the server you are on; this information is included with your welcome mail) Username: [email protected] (replace “username” with your actual username, and “domain.com” with your domain name) Password: your password (this should be replaced with your actual password). Some good FTP Clients are FileZilla, CuteFTP or FlashFTP. After you logged into your FTP area, you should see a folder called “public_html” – upload files into that folder, and you should be able to view uploaded content at http://domain.com (replace “domain.com” with your actual domain name). Q: How do I access my control panel behind firewall? A: You should be able to login into your control panel by typing “http://cpanel.serveraddress.com/” (replace with real server name) or “http://serveraddress.com/cpanel” in your browser. Use your actual username and password to login. Please note that you must use our nameservers to use this feature. Q: What email settings should I use for my pop3/smtp mail accounts? Q: I have transferred my domain on your name servers – how long does it take for it to start working? Q: My script does not work, how do I identify the problem? A: Login into your control panel, go to the “Logs/Stats” section, and click on “Error log”. There you will be able to see error log for your domain. Q: How do I login into webmail? A: Visit “http://webmail.serveraddress.com/” (replace this with real server name you are on), and login with mail account’s credentials. Q: I want SSH access for my account, how do I get it? A: Sorry, for security reasons, SSH access is not permitted. Q: I want remote MySQL access for my account, how do I get it? A: Sorry, for security reasons, remote MySQL access is not permitted. ” I contact the help desk of LayerOnline because I had problems in my domain, the chat online was direct and efficient, but when they turn me to another area I was really surprise, they solved immediately, less than 5 minutes, I felt so secure and make me think one more time I taked the rigth choice in my hosting … sorry about my english!